Anytime there are moving parts or objects, engineers must be concerned about friction, or surfaces rubbing together. Scientists and engineers must understand how friction affects a number of situations like a boat in water or plane in the air where it is a disadvantage, or boots or tires on wets surfaces where it is an advantage! Student work with hands-on projects to learn about the principles of Force, Motion and Friction. 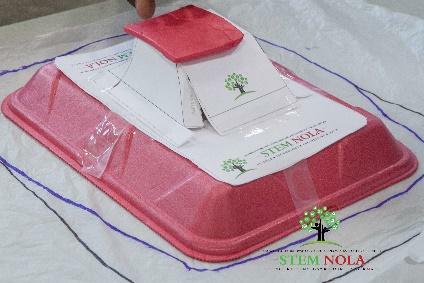 Students will design, build and test their own hovercraft, which slides across the surface due to a bed of air between the craft and surface, thus reducing the friction. By the end of the day, students will be able to describe friction as a force that impedes motion and generates heat; students will be able to distinguish between static friction and kinetic friction and explain why friction occurs. Students will be able to describe common occurrences of friction, and describe ways in which friction can be reduced. May the FORCE Be with You: The Power of Magnets! Students will work on projects to learn about the principles, properties, and power of magnets. 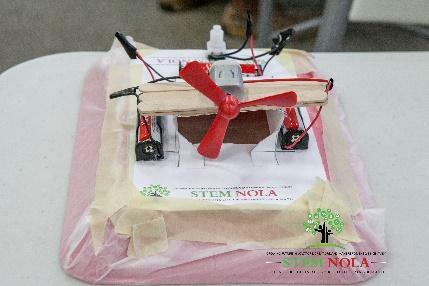 Students will design and build refrigerator magnets, simple motors, and a magnetic levitation train (MagLev Train). A Magnetic Levitation train or maglev is a train-like vehicle that is suspended in the air above the track and propelled forward using the repulsive and attractive forces of magnetism. Since the train literally floats on a bed of air instead of riding on tracks, there is almost no friction enabling the train to travel efficiently at a high rate of speed. Lights, Electricity and Illuminated Minds: Completing the Circuit! 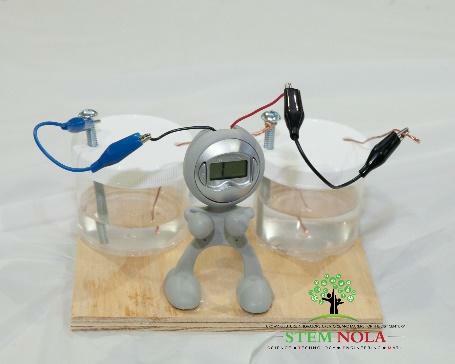 Students will design and build his or her simple electrical circuit like a lamp or flashlight! Electrical circuits are all around us. They are in smartphones, iPads, computers, cars, now even our clothes and in countless other things also, but they can be very dangerous if we are not knowledgeable about and careful with them. Students will work on projects to learn about the principles of simple circuits and electricity and unmask the truth about how they work through hands-on investigations. Students will build simple circuits and explore electricity. Students will be able to describe how a circuit works and follow directions to create different kinds of circuits. Students will design and build their own circuit creating illuminating flashlights, lamps, greeting cards and wire mazes. 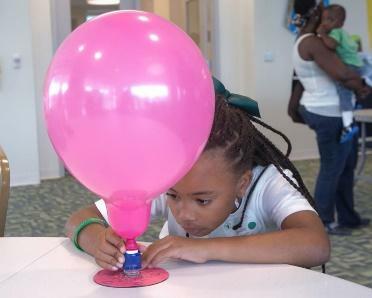 Students will work on projects to learn about the principles of Buoyancy and Density and understand why things float. Density is an important property in many materials engineering applications and Buoyancy is a basic principle that all kids should understand. 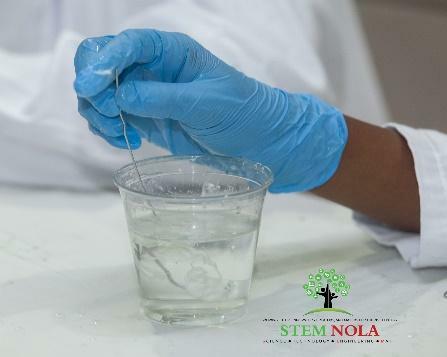 They will learn about Archimedes' Principle and Buoyancy by participating in hands-on activities that demonstrate that even though a material is denser (heavier) than water it stills floats. Students will compete to determine who can create floating objects that support the most weight from different materials. 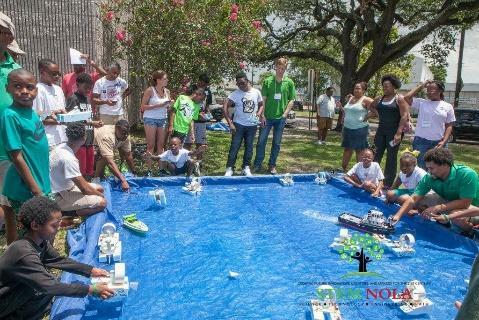 The day will end with each student designing and building their own boat and testing it competitively in small shallow STEM NOLA made ponds. Students will work on projects to perform experiments, separate mixtures, observe reactions including electrochemical reactions while building a strong foundation in chemistry with exposure to a broad range of chemical phenomena and hands-on lab experience. They will explore and discover atoms and molecules. Participants will learn about how chemistry is used in environmental protection and different industries and discover how fascinating the world is when you understand the remarkable reactions behind ordinary occurrences. 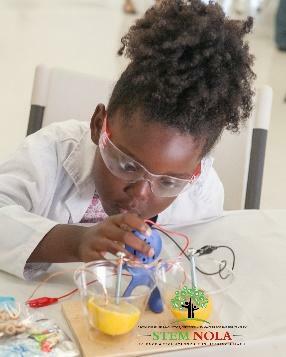 They will experiment with various foods from the kitchen to learn about sugars, fats, and proteins and investigate metals such as iron, copper, and aluminum. The Heart of the Matter: Heart and the Circulatory System! 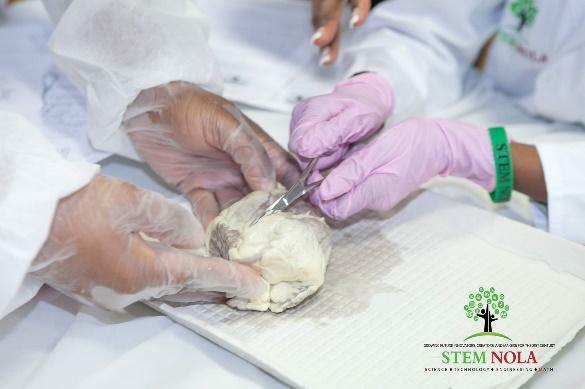 Students will dissect a Sheep Heart and examine its properties and relate them to the circulatory system; and the kids will then build a working mechanical heart with four chambers to take home. K-2 kids will examine hearts dissected by doctors while the 3rd-12th graders will hold and dissect the actual heart. All students will build a grade appropriate model heart that emulates the four chambers of the heart and demonstrates how the heart pumps blood throughout the circulatory system. Through building the model, students will continue to explore how the heart works and how its efficiency can have a significant impact on overall health. We will also tie heart health to community health and wellness. Students will be able to keep the models that they create. A Breath of Fresh Air: Lungs and the Respiratory System! 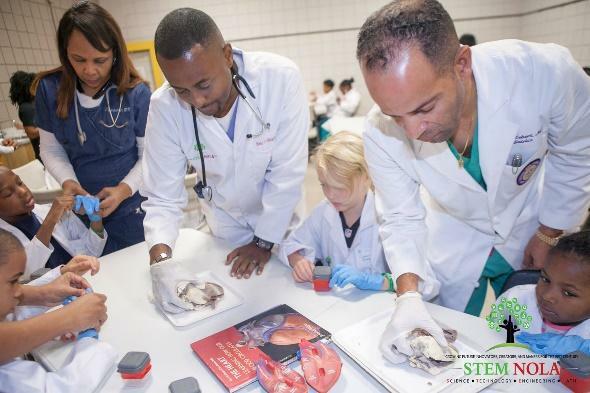 Students will dissect a pig or sheep lung and examine its properties and relate them to the respiratory system; through dissecting the lung students will explore lung issues and challenges impacting their communities and possible career opportunities in healthcare in the 21st Century! K-2 kids will examine lungs dissected by doctors while the 3rd-12th graders will hold and dissect the actual lung. All students will build a grade appropriate mechanical lung and examine its properties and relate them to the respiratory system. Through building the model, students will explore how the lungs work and how their efficiency can have a significant impact on overall health. Students will be able to keep the models that they create. We will also explore environmental factors and health behaviors that negatively impact lung health.